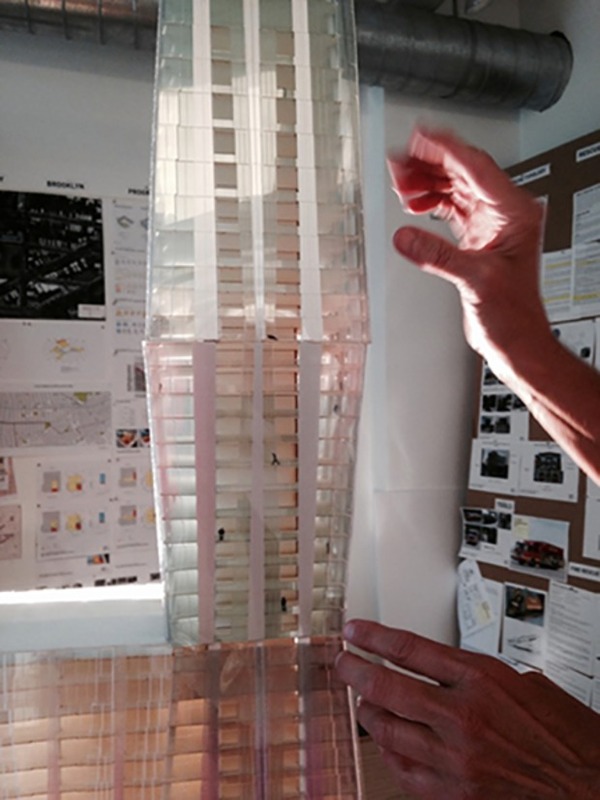 LAKESHORE EAST — The inspiration behind Jeanne Gang's proposed Wanda Vista tower is a tasty one. The star Chicago architect told a packed house Monday night that the design for the proposed 93-story Wanda Vista tower nearby was inspired by the frustum, or "the part of a solid figure contained between two parallel planes" according to the dictionary. The shape can be found in fluorite, the state mineral of Illinois. Or ice cubes, or as Gang, a MacArthur Fellow pointed out Monday, a bar of Toblerone chocolate. 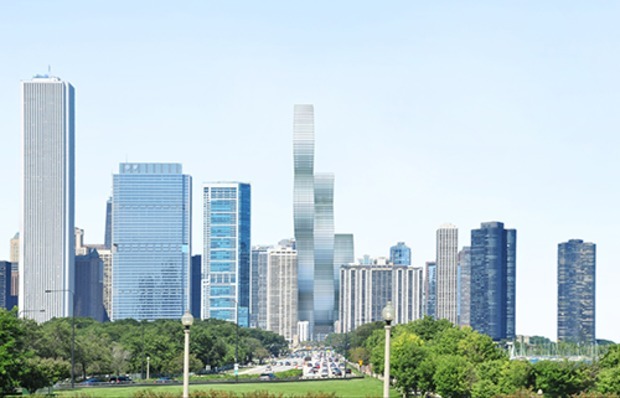 Unlike Aqua, which is surrounded by other skyscrapers in Lakeshore East, Wanda will have unobstructed views to the south and clearly alter the city's skyline. Gang said that because of its prominent locale, Wanda's design is being considered extra carefully. Hence, the frustums. "It's not just about the building above, but about the space and the city," she said.